Prison Voices, an event organised by the New Zealand Festival’s Writers and Readers programme with Write Where You Are, the Department of Corrections and Arts Access Aotearoa, was held at Arohata Prison and Rimutaka Prison on 8 March. Two busloads of international and local writers, journalists and interested public travelled to the prisons in Upper Hutt and participated in a creative writing workshop. One busload took part in a workshop with male prisoners; the other with the women prisoners. 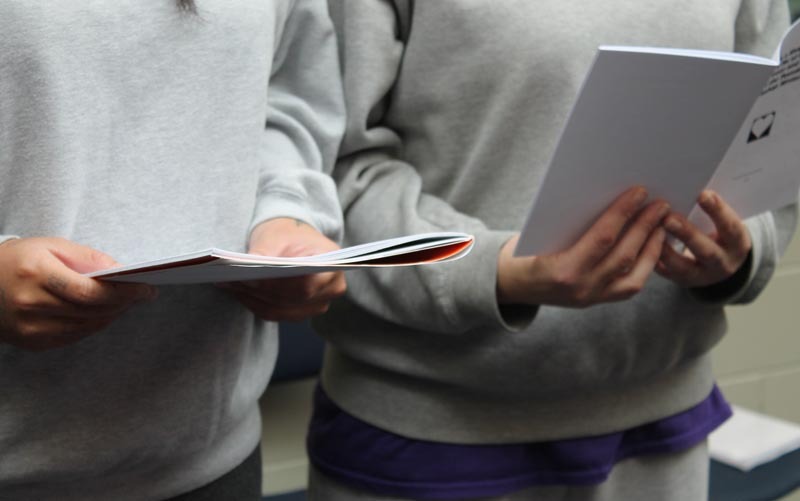 As well as taking part in two writing exercises, the visitors also heard the men and women read work they had written in the eight-week workshops leading up to Prison Voices. The workshops were led by Write Where You Are, made up of six established writers and teachers. An afternoon tea concluded the two-hour event and provided a chance for the visitors and prisoners to talk. Mark Cubey, Manager, Writers and Readers: Why did you want to do this event and how did the visiting writers respond? The idea for Prison Voices came about during a discussion following a presentation last year to New Zealand Festival staff by Richard Benge and Claire Noble of Arts Access Aotearoa. On finding out about the work of the Write Where You Are Trust in Rimutaka Prison, and conscious of the success of the Gate to Plate event run within the prison during Visa Wellington on a Plate, I came up with the idea for a similar event, focused on writing, as part of Writers & Readers 2018. With the help of Jacqui Moyes at Arts Access Aotearoa, and the vital and enthusiastic collaboration of Write Where You Are and the Department of Corrections, the idea was developed well beyond the original concept and became reality, surpassing my wildest hopes. The feedback from participants – curious members of the general public from as far away as Auckland, local writers and journalists, and some of our international visitors – was uniformly positive, testifying to the creative work of the prisoners and the unique and powerful experience. 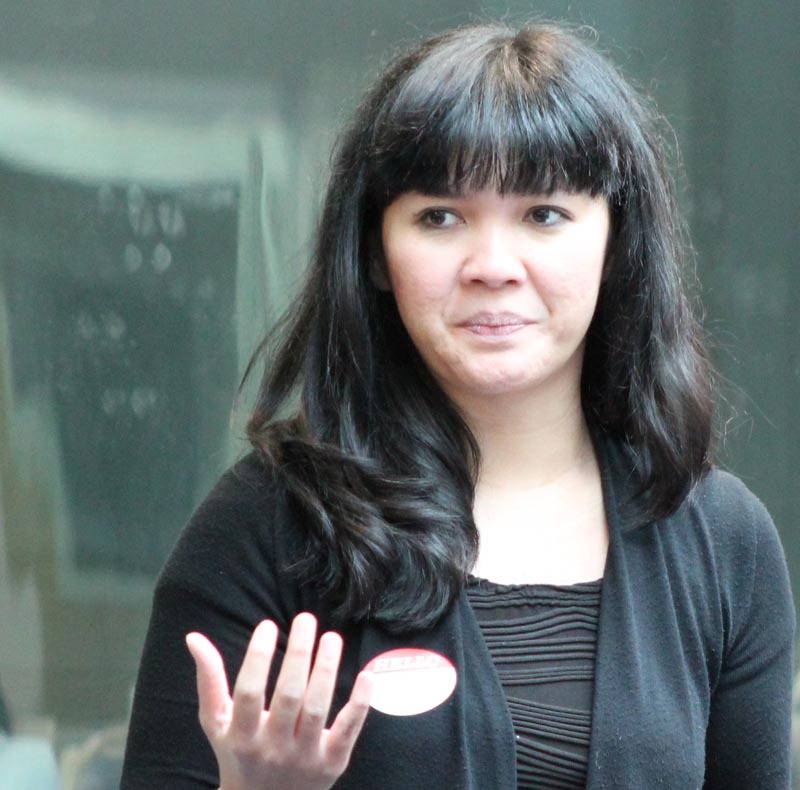 American speculative fiction writer Ian Tregillis described it as a “life-changing event” and Indonesian author Intan Paramaditha, who launched her first book in English translation at Writers & Readers, called it “the most memorable part of the festival … I hope this can be done again in the future”. Write Where You Are: Why did you think the project was a good idea and what did it achieve for the prison community? Our starting point for evaluating any potential undertaking is whether it is likely to be of benefit, and indeed of interest, to the writers we work with. We thought that Prison Voices might offer three key benefits. A chance for positive social interaction with members of the public, breaking down barriers between those in prison and those outside. An opportunity to test their work in a public setting and get validation for it. The chance to meet and be inspired by professional writers from outside. When we presented the idea to the writers in prison there was a high level of interest, so we went ahead. Feedback from the writers in prison suggests all three of these key outcomes were achieved. Many writers expressed surprise and pleasure at the very positive response to the work, not to mention the simple fact that people were actually interested in meeting and talking with them. They also said they particularly enjoyed meeting the visiting writers and would have liked more time with them. We hope this experience gave the prison writers greater self-esteem, boosted confidence in their work, and made them feel included in the wider community. Viv Whelan, Acting Prison Director, Arohata and Rimutaka Prisons: Why did Corrections support this project and what are some key things that made it worthwhile? Participating in Prison Voices has been a good fit for Corrections and the people we manage. We could see it would have similar benefits to the Gate to Plate dining experiences Rimutaka has held for five years: a chance for prisoners to work alongside professionals, gain an increased set of skills, self-awareness and confidence; and have positive interaction with members of the public. These are some of the factors that will aid a prisoner’s reintegration into the community. For prisoners, Prison Voices was about self-expression, a way to channel thoughts and feelings, and working with others. It was also about courage because that’s what it takes to stand up in a room full of strangers and read your work aloud. 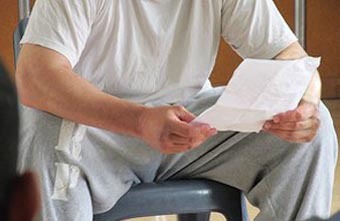 There would be no Prison Voices at all if it weren’t for the passionate Write Where You Are group, Mark Cubey, or Jacqui Moyes and colleagues at Arts Access Aotearoa, who do a fabulous job of supporting Corrections staff, prisoners and external providers. Feedback from prisoners and guests has been overwhelmingly positive. Prison Voices has opened eyes, ears and hearts. Lots of good things happen behind the wire to help with the rehabilitation and reintegration of the people we manage: Prison Voices was one of them. Original generation time 1.5106 seconds. Cache Loaded in: 0.0892 seconds.